The Reference Frame: Are NPCs catchy enough to supersede SJWs? In recent days, a meme became very popular among people who are approximately right-wing, conservative, or pro-Trump and who want to mock the incredible knee-jerk mindlessness of the responses by... and the amazing group think of the far left, the SJWs – social justice warriors. The latter began to be called NPCs. What is an NPC? It is a "non-player character", an entity in games whose decisions aren't determined by an actual human being with free will. They first appeared in Dungeons and Dragons, a 1974 tabletop game. But such NPCs are a part of most 3D video games today. They talk to you but what they say is scripted. The Wikipedia page nicely explains that these characters don't usually have real artificial intelligence, however (although true AI characters – a rare class – are mostly considered a subset of NPCs). So there is a straightforward program/code that determines what they tell you when you play a game on your PC or smartphone. And to some extent, it feels like you're playing against other characters that look like they could be controlled by other human players – but they are not. Some work has been done to create the program but because that program is simple enough, it fails to emulate an intelligent behavior of a human being perfectly and the difference becomes strikingly obvious in some situations, see e.g. these awkward NPCs in Mafia II. Does it remind you of someone? Well, yes, the "progressives" or "social justice warriors" have grown into this exact grey mass. Their group think has reached incredible proportions. They have become utterly predictable. Whenever anyone says anything, they look for the closest possible pre-programmed toxic proposition about identity politics and generate it as a reply. I am often tempted to fully reverse engineer the simple program that generates their knee-jerk responses. All of them say the exact same things. They can't be distinguished from each other. If they deviated from this party line, even infinitesimally (and it's only possible to deviate in one direction because that party line is already in the extreme left, extreme totalitarian corner of the political compass), they feel as being ostracized, removed from their community, uninstalled as programs. They have accepted the rules and mechanisms that make them clones of each other. To show you something about the group think, compare the anti-Strumia petition with the pro-Strumia one. They're seemingly just two petitions on the opposite sides. But the pro-Strumia petition just says that there should be freedom of speech, scholars shouldn't be existentially threatened for expressing opinions, and Strumia should be rehired. Lots of people would agree with that. On the other hand, the 4,000 employees of scientific institutions have signed a long tirade making dozens of explicit statements about complex matters related to women in science and promoting numerous articles in junk sciences. Is it plausible that so many independently thinking people would endorse all of these statements? It's not. But there's no problem because the signatories are NPCs. They are not independently thinking agents. Now, the "SJWs are NPCs" meme originated in a 2016 discussion about video games on 4chan, a politically incorrect discussion forum, but it only exploded last week when an SJW complained about it at Kotaku. The grey ugly cartoon of a face is the NPC Wojak and it's based on a sad face symbol from the painting software MS Paint – this cartoon symbolizes the extreme uniformity of these people. As e.g. Breitbart and Paul Watson sketched, tons of amusing cartoons – sometimes depicting generic folks in the left-wing mobs, sometimes depicting would-be celebrities from TVs – have been drawn that show why those are NPCs. You should search for NPC on Twitter and elsewhere, it's entertaining. On Twitter, a new army of fake accounts of the form NPC-#a-number has been created. They write the same knee-jerk far left junk as your typical SJWs and the only difference is that they have NPC in their name and the NPC Wojak-based avatar. This is enough to make you clearly see how pathetic, repetitive, content-free, and ludicrous all these SJWs have become. It's funny because it's true. 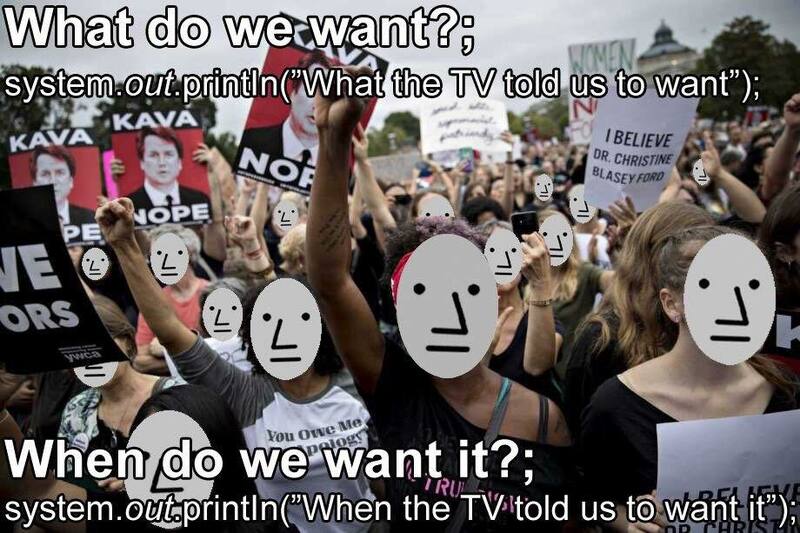 Some NPCs have protested that they're melting like snowflakes whenever they're outed as NPCs – all these NPCs' protests have been exactly the same, of course, copies of a scripted line. So Twitter has actually added a new rule that bans "dehumanizing speech" with the implicit indication that the NPC meme is banned, too. Whether the rule is meant to ban the acronym NPC itself is murky – at any rate, Twitter has already banned thousands of NPC accounts. Imagine that, a major Internet company bans an important, standard, previously apolitical acronym from the PC games industry! An acronym that was made popular in the broader cultures simply to criticize group think. I don't think that Hitler's or Stalin's regime have ever made a similar ban. OK, so some of these NPCs complain that they have been "dehumanized". However, nothing like that happened recently. What actually happened is that these left-wing people have dehumanized themselves – probably a few years ago. The path towards the almost complete dehumanization was somewhat gradual but their self-inflicted dehumanization is almost complete by now. They're just not able – and willing – to think for themselves. They seem to be happy in the new setup in which their decisions and commentaries have been outsourced. The truly innocent ones have been persuaded that by becoming mindless automatons, they may become better human beings. They have voluntarily agreed to turn their brains off and become brain-dead NPCs. Yes, indeed, I think that this makes them far less human and far less valuable than a full-blown human being simply because free will and "autonomous thinking" are crucial parts of what it means to be human – at least that's how I see the world. And yes, I think it's a systemic problem for democracy if automatically parroting NPCs who are directly controlled by some well-established clique of opinion makers on TV and elsewhere become a sizable portion of the electorate. A better election system should reduce the influence by such NPCs because a democracy shouldn't be governed by several of those NPC coders. Even if the meme linking the SJWs to mindless automatons were dehumanizing, well, the rightwingers haven't started with that. For years, non-leftwingers have been called names, Nazis etc. The most analogous label that has been used against the people inconvenient for the NPC group think was "Russian bot". Everyone who doubted the NPCs' conspiracy theories about Trump and Putin etc. has been labeled a "Russian bot". We know numerous very real people who have been called Russian bots by the NPCs' media such as MSNPC. But those were just insults – they knew they were lying – and this was one reason why they weren't elaborating on the insult. They were literally saying that some accounts on Twitter and Facebook were controlled by programs running on Russian computers. That's obviously not the case and one isn't even motivated to elaborate upon that falsehood. The situation is very different with the NPCs. The underlying claim really seems almost perfectly accurate. And it's this accuracy that has ignited so much creativity among the pro-Trump folks. They create lots of funny cartoons and tweets because many other things may really be explained from this new NPC perspective. It's an eye-opener, a new way of looking at the reality. Maybe the right-wingers are also more creative for intrinsic reasons; and maybe they're more creative these days because they're happier. This meme also provokes me to give some new comments about the question "Do we live in a simulation?" Well, we don't but millions of people – the SJWs or NPCs – apparently do. And the simulation that runs them isn't particularly sophisticated. The constant repetition of "it is offensive"-style slogans was considered enough by the person who has programmed them. The NPC idea is fresh, funny, and insightful and the acronym NPC has some potential to become popular – and, under some very optimistic assumptions, more popular than the SJWs and other acronyms used for the almost identical groups of people. Can NPC become the primary label to identify these people, thus superseding SJWs? I am not sure. An advantage of the acronym "SJW" is that it may be decompressed to "social justice warrior" which is politically self-explanatory. On the other hand, the "NPC" means a "non-player character" which represents a huge shortage of independent thinking and free will – but in principle, that could affect folks of many flavors in all political camps. Well, these days, the instinctive group think and the constant "I am offended" reactions are almost totally owned by the far left SJWs. I think it will continue to be the case for many years to come. For that reason, an "NPC" could be a good name to call the SJWs for the years to come. 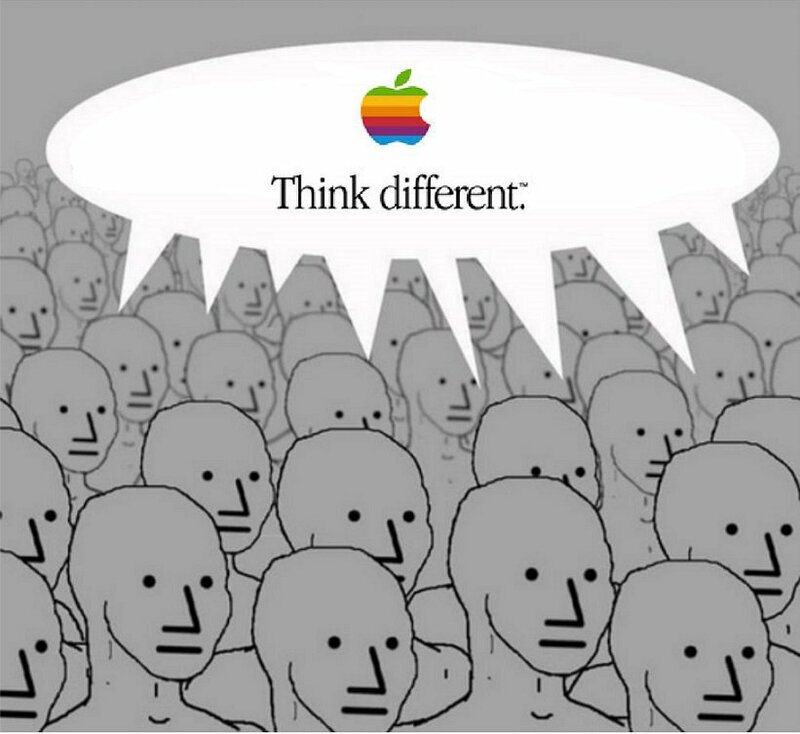 Maybe an alternative decompression of the acronym "NPC" could be helpful for it to become a mainstream label for the SJWs.